TGIF, friends of the Union! This week, we’ve got new views of the tower. Crew members have built scaffolding all the way up the tower and are tying the studs to the sides this week. 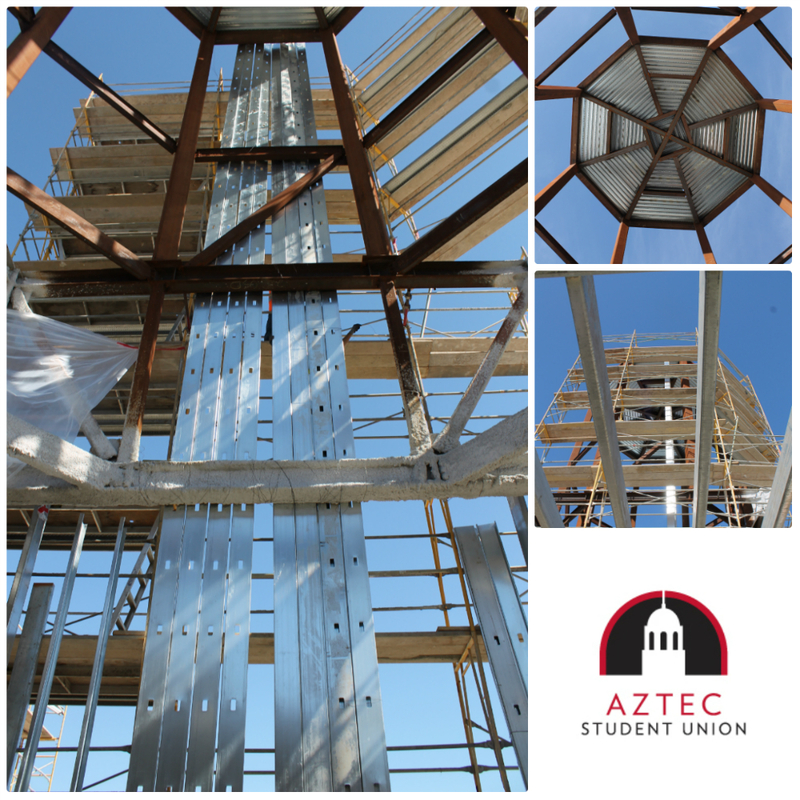 Want a bird’s eye view of Aztec Student Union? Check out the live construction camera on the website! Or get more updates from Facebook and Twitter.